When we made our Summer Bucket List this year, we had a few repeat items from last year’s list. 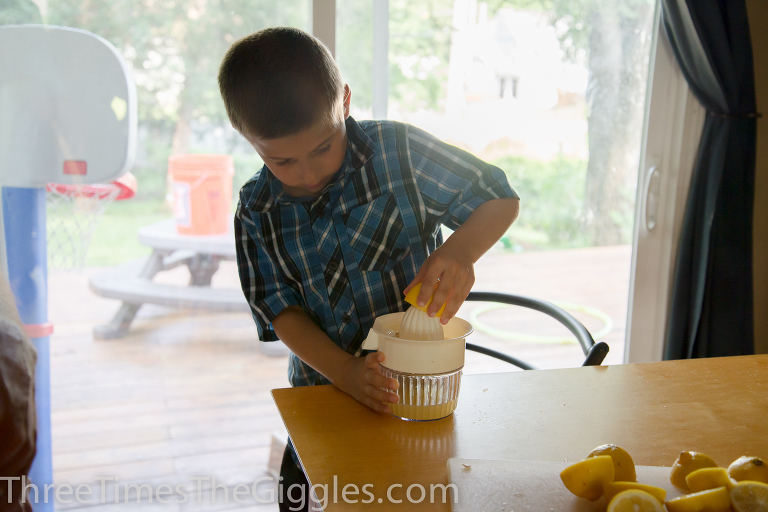 One of those items was making our own lemonade! We loved it last year, and it was simple and cheap to do. I wised up this time though, and bought one of those citrus juicer things. WAY easier than squeezing the halved lemons like we did last year! And Nick talked the boys into letting him squeeze a lemon directly into their mouths. All four did it, and all four claimed to enjoy it. Really though, I think Nick enjoyed it most!